Jambudweep: A Journey through Incredible India is Sukhnidhey Films' archaeo-travel TV Show series: a fascinating journey across the length & breadth of India- exploring the hidden historic, natural & cultural gems which have escaped attention since centuries. The show, was telecast every Saturday, in primetime, from 8:30pm to 9:00pm on India's National Television, Doordarshan network (2014-2015), and was the highest TRP rated show in its category. India, in a subjective, first hand manner. 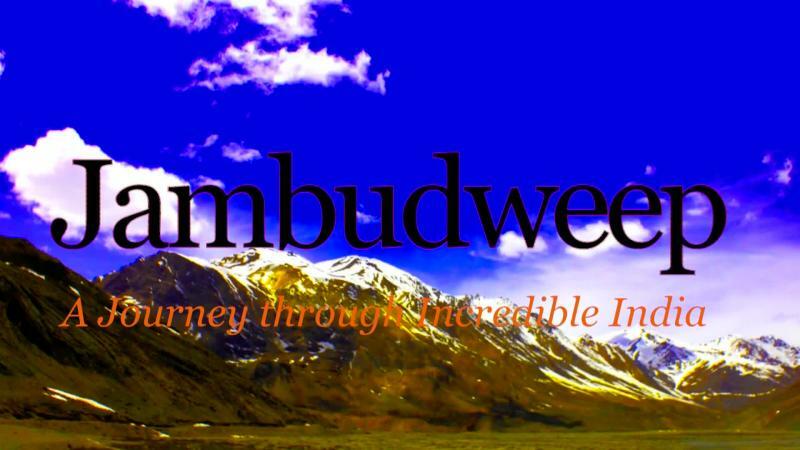 places with Jambudweep- A Journey through Incredible India! "India's Ancient Mysteries & Heritage"
Sukhnidhey Films presents the travelogue series: Conquering Kedarnath: Hiking to the Heavens. In this opening episode of the series, we begin the epic journey from Jaipur to Kedarnath, where we trek to 11,755 feet through the snow capped mountains, the holiest mountains in the world. This film remains the first and the last comprehensive documentations of the trek to Kedarnath, the land that was completely devastated in the Indian Floods of 2013 which wiped out several thousands of lives. Many places, villages, towns and roads shown in this film no longer exist. The film takes the viewers to the remote heights of Kedarnath, through an epic road journey from Jaipur, and ultimately to the ancient Kedarnath temple. Sukhnidhey Films presents the travelogue series: Conquering Kedarnath: Hiking to the Heavens. In this second episode, we continue the epic journey from Jaipur to Kedarnath, where we trek to 11,755 feet through the snow capped mountains, the holiest mountains in the world. This film remains the first and the last comprehensive documentations of the trek to Kedarnath, the land that was completely devastated in the Indian Floods of 2013 which wiped out several thousands of lives. Many places, villages, towns and roads shown in this film no longer exist. Sukhnidhey Films presents the travelogue series: Conquering Kedarnath: Hiking to the Heavens. In this third episode, we continue the epic journey from Jaipur to Kedarnath, where we trek to 11,755 feet through the snow capped mountains, the holiest mountains in the world. This film remains the first and the last comprehensive documentations of the trek to Kedarnath, the land that was completely devastated in the Indian Floods of 2013 which wiped out several thousands of lives. Many places, villages, towns and roads shown in this film no longer exist. Sukhnidhey Films presents the travelogue series: Conquering Kedarnath: Hiking to the Heavens. In this fourth episode, we continue the epic journey from Jaipur to Kedarnath, where we trek to 11,755 feet through the snow capped mountains, the holiest mountains in the world. This film remains the first and the last comprehensive documentations of the trek to Kedarnath, the land that was completely devastated in the Indian Floods of 2013 which wiped out several thousands of lives. Many places, villages, towns and roads shown in this film no longer exist. Sukhnidhey Films presents the travelogue series: Conquering Kedarnath: Hiking to the Heavens. In this fifth episode of the series, we continue the epic journey from Jaipur to Kedarnath, where we trek to 11,755 feet through the snow capped mountains, the holiest mountains in the world. This film remains the first and the last comprehensive documentations of the trek to Kedarnath, the land that was completely devastated in the Indian Floods of 2013 which wiped out several thousands of lives. Many places, villages, towns and roads shown in this film no longer exist. Sukhnidhey Films presents the travelogue series: Conquering Kedarnath: Hiking to the Heavens. In this sixth episode of the series, we continue the epic journey from Jaipur to Kedarnath, where we trek to 11,755 feet through the snow capped mountains, the holiest mountains in the world. This film remains the first and the last comprehensive documentations of the trek to Kedarnath, the land that was completely devastated in the Indian Floods of 2013 which wiped out several thousands of lives. Many places, villages, towns and roads shown in this film no longer exist. Sukhnidhey Films presents the travelogue series: Conquering Kedarnath: Hiking to the Heavens. In this seventh episode of the series, we continue the epic journey from Jaipur to Kedarnath, where we trek to 11,755 feet through the snow capped mountains, the holiest mountains in the world. This film remains the first and the last comprehensive documentations of the trek to Kedarnath, the land that was completely devastated in the Indian Floods of 2013 which wiped out several thousands of lives. Many places, villages, towns and roads shown in this film no longer exist. Sukhnidhey Films presents the travelogue series: Conquering Kedarnath: Hiking to the Heavens. In this last part of the series, we conclude the epic journey from Jaipur to Kedarnath, where we trek to 11,755 feet through the snow capped mountains, the holiest mountains in the world. This film remains the first and the last comprehensive documentations of the trek to Kedarnath, the land that was completely devastated in the Indian Floods of 2013 which wiped out several thousands of lives. Many places, villages, towns and roads shown in this film no longer exist. Well, a lot takes place behind the camera as does in front of it! While traveling to and filming these exotic locations, the Jambudweep team tries to get you as close to the real action as possible, so that YOU experience the action as YOU SEE IT, in first person, ia subjective sense, rather than being dull, passive observers. And, to recreate the scenes we film with our cameras, we need to plan these trips well in advance, during the pre-production phase. 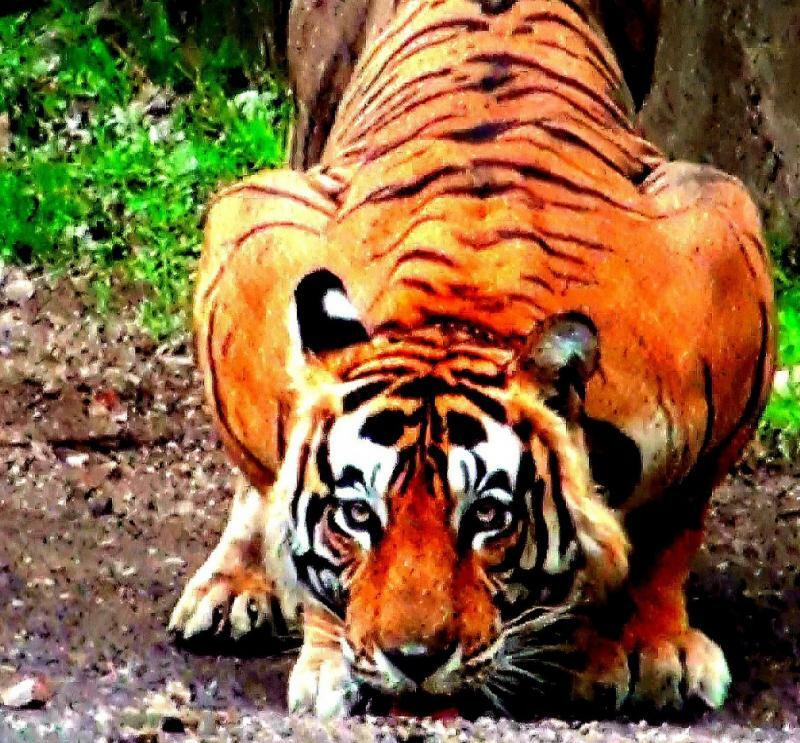 This is indeed a rigorous process of planning, location scouting, script development, research, etc, to make sure we never miss a thing when we are present at the location; and bring you the best possible footage. You'll find sone of the footage filmed in low light; some with handheld cameras; while this is sometimes due to the prevalent conditions on the field, at other times it is to place you into the scene, in as natural an environment as possible, without manipulations of any sort. GET THE ORIGINAL HIGH DEFINITION (HD) DVDs/Blu-Rays! Yes, you can now purchase the DVDs/Blu-Rays of the original episodes, with High quality, High Definition video, with the uncut, unedited scenes, so real that you'll literally be in the scene instead of being behind the screen!